Reda is currently director of business development at Gemphire Therapeutics and partner at IncWell. Prior to joining IncWell, Reda gained experience with early-stage investing at Wolverine Angel Network and Stage 2 Innovations. He has co-founded several early-stage startups including MDCases, Visionary Kids, and MI Happy App. 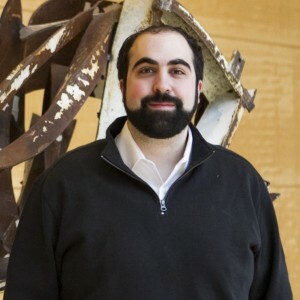 Reda was named a University of Michigan Hero (2013) and Student of the Year (2014); both awards were among a student body of over 43,000 students. Reda earned his B.S. with Highest Distinction from the University of Michigan. He earned his MD with Distinctions in research, service, and medical education from the University of Michigan Medical School. He earned his MBA with a focus in healthcare entrepreneurship from the University of Michigan Stephen M. Ross School of Business. Lastly, he earned his M.S. in clinical research from the University of Michigan School of Public Health. Throughout his training, Reda gained significant clinical research experience across various medical disciplines, resulting in several peer-reviewed journal publications.